"The Church that Is A Family"
Acts 5:12-20 "We are witnesses to these things." Psalm 148:1-14 "Praise the name of the LORD." Revelation 1:4-18 "I am the first and the last." John 20:10-31 Jesus appears to the disciples and to Thomas. 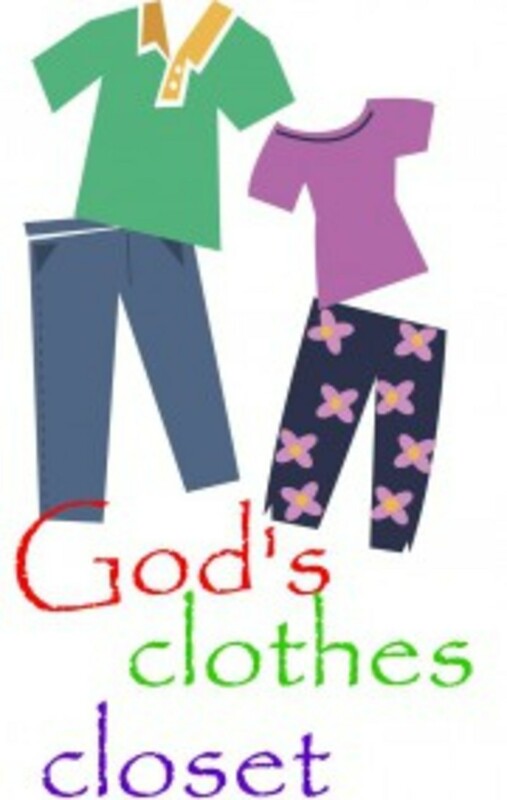 God's Clothes Closet is a clothing store for those who would forgo other life essentials to have clothing. 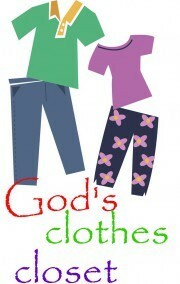 The Clothes Closet is open from 9:30 am - 1:00 pm. EVERY WEDNESDAY. We have children's clothing of all sizes. Women's and Men's clothing. We also stock some toiletries. All are available at no cost, we do require you to sign in and put down the number of items you are taking. Would you like to help support our online presence?